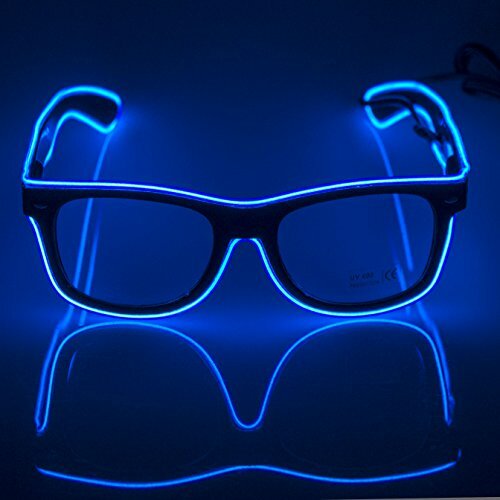 Our glasses will stay vibrant and lit up for anywhere from four to fifteen hours depending on the battery quality used. We recommend using good quality batteries. 1,Reply your inquiry within 1hr in working time, with 12 hours in non-working time. Fronnor was established by a team of cross-boarder elites who specialized in consumer electronic products , new energy ,Tools & Home Improvement products etc for years .We committed to be your best lighting solution provider on Amazon. PC plastic frame with 13500 lines firework glasses, durable and good effect.Different lens colors available, can meet different people favor. Ultra-high EL wire to make the light blow out, provide excellent visual effect at night. If you have any questions about this product by Fronnor, contact us by completing and submitting the form below. If you are looking for a specif part number, please include it with your message.